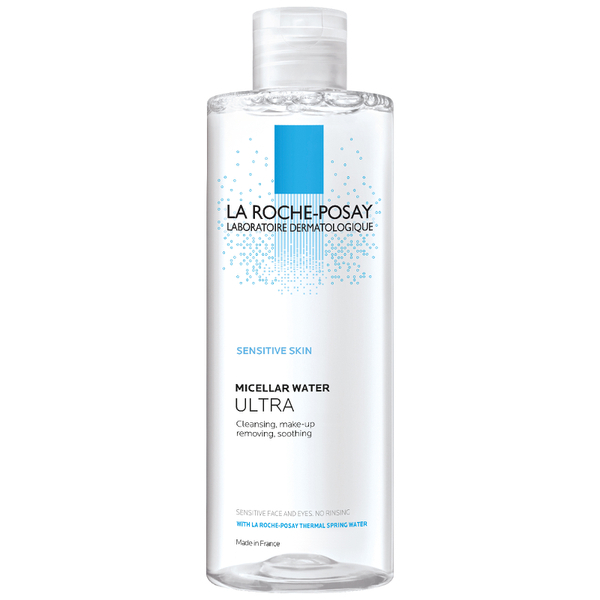 Delicately cleanses, removing make-up and eliminating impurities. Agents selected for optimal tolerance and high make-up removing power. 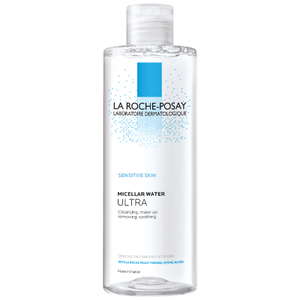 This product has a physiological pH and is enriched with La Roche-Posay Thermal Spring Water. Aqua / Water,Hexylene Glycol,Poloxamer 184,Glycerin,Disodium Cocoamphodiacetate,Disodium EDTA,Citric Acid,Dihydrocholeth-30,Sodium Chloride,Sodium Diglycolate,Sodium Glycolate,Polyaminopropyl Biguanide,Parfum / Fragrance.